Black and white negative of a photograph showing the residence of James Rowe, Whitby's first mayor. The Rowe house was located at 1600 Charles Street. This house was built in 1856. 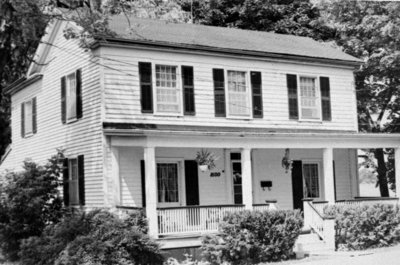 In 1999, the Rowe house was moved to Front Street East. Residence of James Rowe, 1975, Brian Winter, Whitby Archives, 17-150-001.